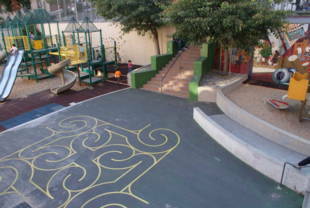 This multi-level park built into the side of a hill contains two sand play areas, three game and sports areas, and a big community recreation center and indoor gym. 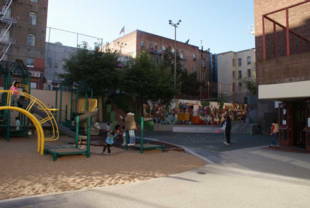 The Rec center runs an after school program that helps kids with homework and offers snacks and activities. 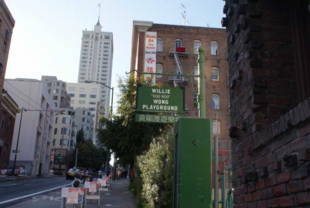 Willie "Woo-Woo" Wong Playground is owned by the San Francisco Recreation and Park District. 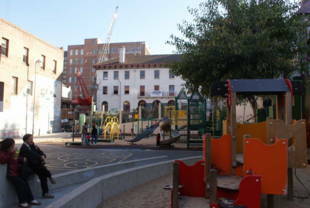 The playground is located at Waverly Place, on the north side of Sacramento Street between Grant and Stockton. #1-California -- Sacramento and Grant or Stockton. #30-Stockton -- Stockton and Clay Streets (walk 1 block south, 1/3 block east). #45-Union/Stockton -- Stockton and Clay Streets walk 1 block south, 1/3 block east). 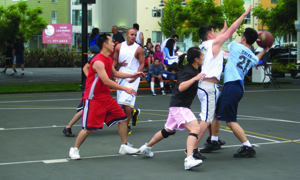 Willie 'Woo Woo' Wong was inducted into the USF Basketball Hall of Fame in 2007. Sacramento St. and Waverly Pl.